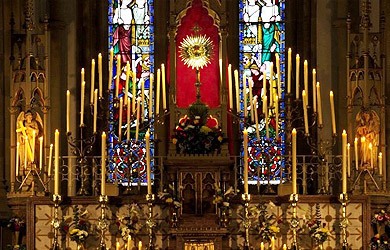 The Roman Catholic Diocese of Lancaster is the Latin rite Roman Catholic Diocese centred around Lancaster Cathedral in the city of Lancaster in Lancashire, England. The diocesan area is 2,900 km2 (1,120 square miles). As of 2011 the Catholic population of the diocese was 111,264 for a total of 1,050,000 inhabitants (10.6%). 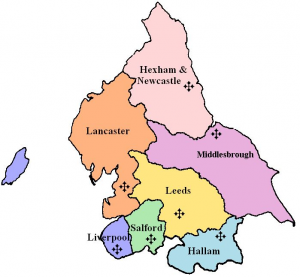 We are in the (northern) province of Liverpool and as a Diocese we extend along the west of England from the Ribble River in the south of Preston to the Scottish border, comprising the counties of Cumbria and much of Lancashire. 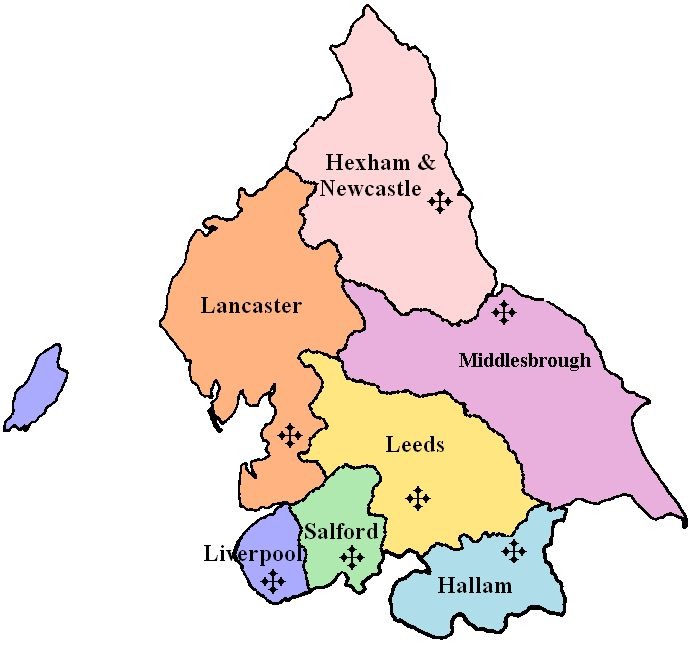 We border with the dioceses of Hexham & Newcastle, Middlesborough, Leeds, Salford and Liverpool. 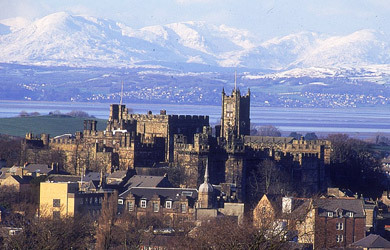 The Diocese was erected in 1924, taking territory from both the Archdiocese of Liverpool and the Diocese of Hexham and Newcastle. Following the Fit for Mission? review, the Diocese is currently organised into 9 Deaneries, has around 85 active priests, 46 permanent deacons, 12 secondary schools, 86 primary schools and 84 parishes. More than structure and buildings we are the People of God in our part of the world. 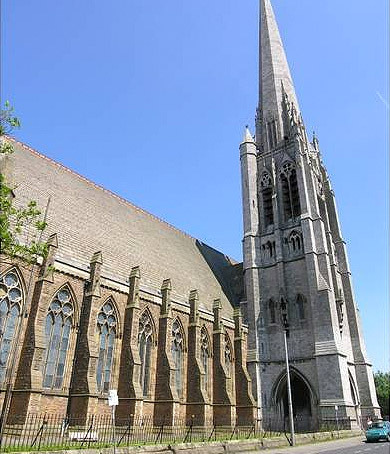 Areas in the Diocese include the city of Preston; a city with an uncharacteristically high Catholic population – the highest anywhere in England & Wales in fact, due in no small part to the fact that the Protestant Reformation never took hold in the Preston area to the same extent as it did in other places. Also notable in the diocese are: the scenic and beautiful Lake District, Sellafield nuclear power station, including historic cities like Carlisle and Lancaster, the seaside town of Blackpool, and along the West Coast; Whitehaven, Workington, Barrow-in-Furness, the major shipbuilding town. 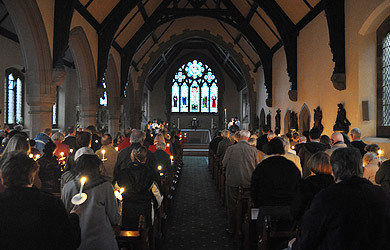 Central organisations of the Diocese include the residential youth centre Castlerigg Manor, Keswick where the Diocesan Youth Service is based, the Education Centre, The Pastoral Centre, Lancaster Cathedral. The Diocese has a monthly Diocesan newspaper, The Catholic Voice and is keen to use the diocesan website and wider media in her mission of Evangelisation. Since the erection of the Diocese in 1924, there have been six bishops. The longest serving Bishop was the third (Brian Charles Foley), who served from 1962 until 1985. The current incumbent is Bishop Michael Gregory Campbell. 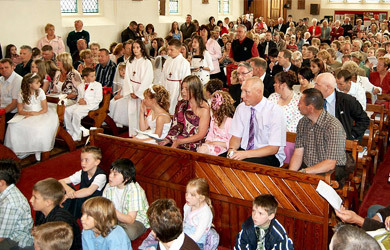 Bishop Campbell was installed on 1 May 2009 following the retirement of Bishop Emeritus Patrick O’Donoghue who now lives in Bantry, Co. Cork, Ireland, who served from 2001 until 2009.